This product requires the base game Clan of Champions. The capacity of the Item Box increases from 60 to 90. 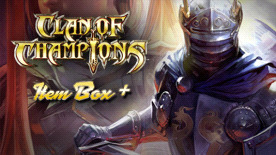 Clans of Champions is required to play this DLC.